A loan of $425 helped to buy new fishing nets, gasoline for her boats and other materials for her business. Marilou Refil is a married woman with three children. She is a very hardworking entrepreneur. Marilou Refil is 36 years old, and her three children are still in school. Marilou Refil has a fishing business in the Philippines. 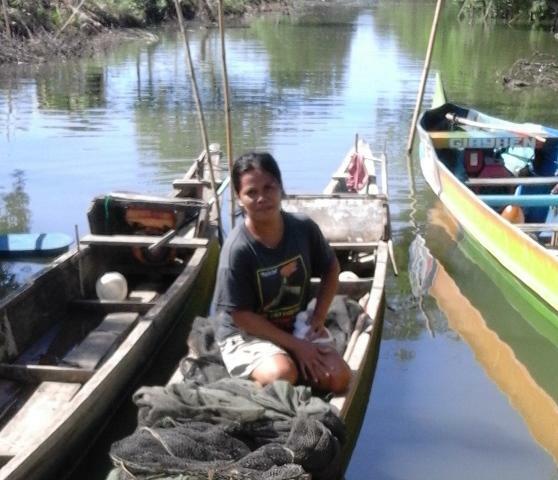 Marilou Refil requested a PHP 20,000 loan amount through NWTF to buy new fishing nets, gasoline for her boats and other materials for her business. Marilou Refil has been in this business for three years. She would like to save enough money so she could afford to send her children to college.